Yoga can either be a runner’s best friend or worst enemy, depending on how they approach the practice. When yoga is done safely, mindfully, and effectively, it can offer a variety of benefits to runners. However, without proper guidance, yoga can lead to over-stretching and even injury. Here are four tips for runners to make the most out of their yoga practice. If your goal from your yoga practice is to use it as a tool to enhance your running, then don’t approach group classes like a race. This may sound like common sense, but it can be a radical shift in mindset for runners who constantly compete with themselves and others in their typical physical practices. Rather than operating at 100% when you step on your yoga mat, within yoga postures, find your edge—the spot that holds sufficient sensation but that still allows you to breathe comfortably. It’s important for runners to adjust their yoga practice to the time in their running training cycle. During the offseason or low-intensity training weeks, runners may enjoy trying more “advanced” or physically challenging variations of poses in their yoga practice. However, when their bodies are already taxed from high-mileage training, they may be more prone to injury in yoga, and may consider practicing with modifications and plenty of props. Regardless of the time in their training cycle, practicing dynamic movements in yoga may be safer for runners than long holds of deep stretches in the hamstrings, quadriceps, calves, or hips. Over-stretching these muscles may lead to lower running economy, which is defined as the energy demand for a given velocity of running. Running coaches frequently use the analogy of springs to describe the muscles in our legs. Our legs release energy as they propel us forward like springs in our running stride. Similar to springs, our legs are less efficient and have a lower running economy if they are not at the ideal level of tightness. This hypothesis was supported by a 2010 Nebraska Wesleyan University study, (1) which found that distance runners who were the most flexible in a “sit and reach” test were the least efficient in running. To prevent a loss of running economy, dynamic movements, such as flowing single leg balances or pulsing side lunges that improve runners’ range of motion may be more beneficial in a yoga practice. To avoid overstretching, it is also advisable to practice yoga post-run rather than pre-run or on cross-training days. Aside from the physical benefits of yoga, the practice may be especially powerful for its mental effects. Yoga can enhance proprioception, or body awareness, for runners by allowing them to experience their bodies in new ways. 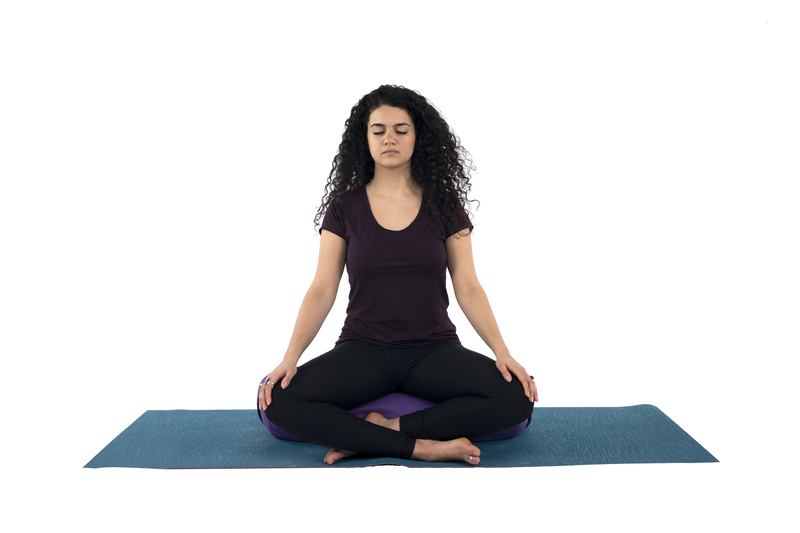 Additionally, yoga may improve “mental toughness” for runners when certain meditation techniques, such as visualization, are included in a practice. Lastly, yoga and meditation can be important stress-relieving tools for runners, which may be important in alleviating nervous energy leading up to the big race day. Lacey Gibson is a Boston-based freelance food writer, a global health research consultant, an RYT-200 yoga teacher, and a certified barre teacher. She graduated in 2015 with a BA/BS in French and Physiology from Southern Illinois University, where she also competed as an NCAA DI track/cross country runner. Additionally, she holds a Masters of Science in Global Health and Population from Harvard T.H. Chan School of Public Health. As a writer, Lacey specializes in mindful consumption of chocolate, coffee, and wine. Her work has been published in the Journal of Wine Research, Gastronomica, Fresh Cup, Elephant Journal, Happy Cow, and DOYOUYOGA, among others. Lacey's mission as a writer and as a yoga teacher is to inspire openness, compassion, and connection through mindful movement, living, and eating. (1) Trehearn, T.L., and Buresh, R.J. “Sit-and-reach flexibility and running economy of men and women collegiate distance runners” J Strength Con Research (2009) 23(1):158-62. doi: 10.1519/JSC.0b013e31818eaf49.